I can still hear the Irish brogue of the retired Monseigneur who often heard my confession when I was a teenager. He taught me so much about how to receive the Sacrament of Reconciliation. While I was on my first retreat with the parish youth group, I had had a conversion experience during adoration of the Blessed Sacrament, and I felt drawn by the Lord to participate in anything I could fit in my schedule. Our parish offered Eucharistic Adoration all day on Mondays and the Sacrament of Reconciliation in the evening. Always a nervous wreck, but fully aware I needed absolution, I summoned the courage to go frequently. This Monseigneur was so patient, steady, and kind that I gradually looked forward to going to Confession, and although I wouldn’t have known how to describe it at the time, looking back, I can see that I truly grew spiritually. The way he listened patiently and attentively not only helped me receive the sacrament properly, but it also evangelized me. He formed in me an experiential knowledge of what Saint Paul describes today: “there is no distinction; all have sinned and are deprived of the glory of God. They are justified freely by his grace through the redemption in Christ Jesus.” (Romans 3:22-24) Gradually, through this experience, God taught me to open myself to His mercy freely given. I often remember this good priest, who has since passed to eternity, and ask him to pray for me and with me for others. As I think back to him, I marvel at his humility. Like so many others who truly represent the Lord, he must have had a deep personal knowledge of God’s mercy freely given and freely received. Sisters, we cannot go wrong throwing ourselves into the merciful arms of God. That’s the point of the readings today. 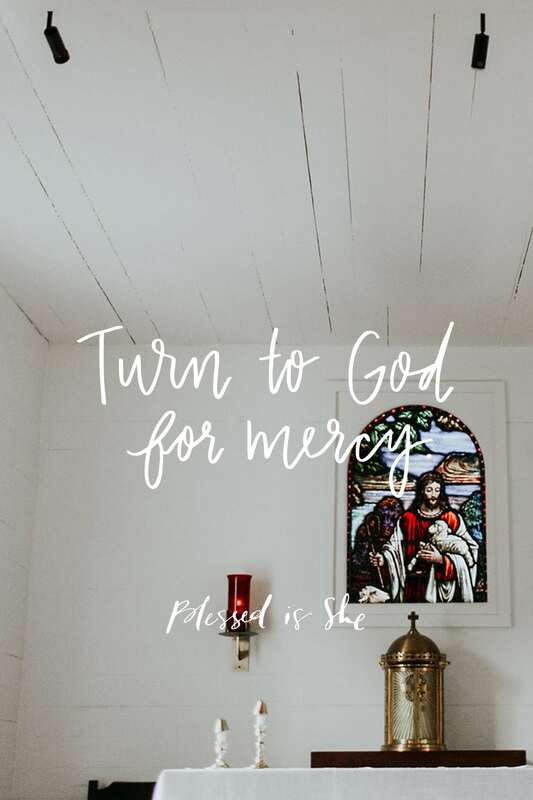 Our Lord Jesus is not shy about saying “woe” to the proud, (Luke 11:47) but if we can turn to God begging for mercy, we will know in every fiber of our being: “With the Lord there is mercy, and fullness of redemption.” (Psalm 130:7) God Himself will teach us how to trust in Him alone.